A new proposal promises to make Maryland more welcoming to craft beer brewers and the consumers who sip their suds. SILVER SPRING, Md. — A new proposal promises to make Maryland more welcoming to craft beer brewers and the consumers who sip their suds. “The plan is, make us No. 1 in the country,” Maryland Comptroller Peter Franchot said Monday at a press conference in Silver Spring. The state’s 80 craft breweries employ more than 6,500 people, but Franchot said making changes to state law could boost the number of employees. “We could double that within a couple of years, if we just let them do what they’re good at,” he said at Denizens Brewing Company. 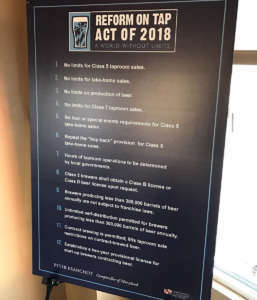 Earlier this year, Franchot formed a 25-person task force to review the state’s beer laws, which included brewers, consumers, retailers and other stakeholders. 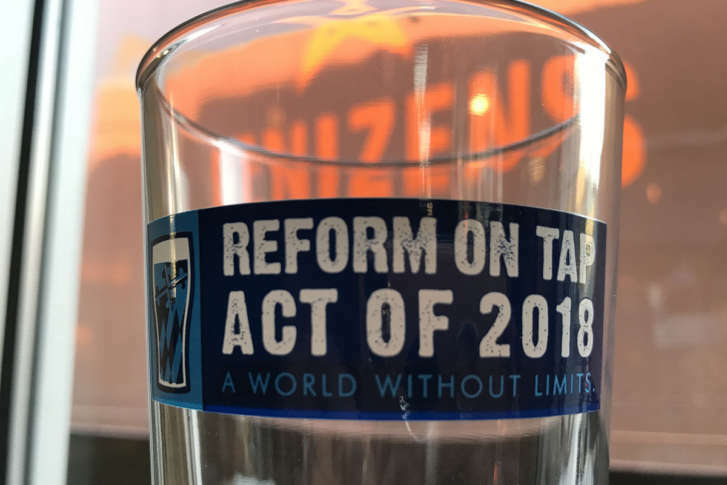 Meetings were held during the summer and fall, and the results have been rolled into a legislative package called the “Reform on Tap Act of 2018” that will be submitted to lawmakers in Annapolis. The plan would lift all limits on beer production, taproom sales for on-site consumption and take-home sales. It would get rid of a law requiring people who want to buy beer at a brewery to bring home to take part in a guided brewery tour or special brewery event first. It would also eliminate the “buyback provision” that forces production breweries that want to sell more than a predetermined amount of beer to sell that additional amount to a distributor at one price, and buy it back at a higher price before selling it to customers.